BIDMC has implemented Machine Learning functionality from Amazon and Google to support several use cases. In this presentation, the speaker will review the implementation experience and the outcomes achieved. Radiological diagnosis and interpretation is ready for an overhaul. Radiologists spend countless hours on tasks that are onerous and error-prone, resulting in high costs and frequent misdiagnoses. Arterys is working to address these deficiencies, using deep learning to vastly improve the speed and consistency with which radiologists read cardiac MRI studies. Our first product, Arterys Cardio DL, is the first technology ever to be cleared by the FDA that leverages cloud computing and deep learning in a clinical setting. We discuss the technology behind the software and how we proved its safety and efficacy to secure FDA clearance in the United States and the CE Mark in Europe. Majority of cancer research today takes place in biology and medicine. Computer science plays a minor supporting role in this process if at all. In this talk, I hope to convince you that NLP as a field has a chance to play a significant role in this battle. Indeed, free-form text remains the primary means by which physicians record their observations and clinical findings. Unfortunately, this rich source of textual information is severely underutilized by predictive models in oncology. In the first part of my talk, I will describe a number of tasks where NLP-based models can make a difference in clinical practice. For example, these include improving models of disease progression, preventing over-treatment, and narrowing down to the cure. This part of the talk draws on active collaborations with oncologists from MGH. In the second part of the talk, I will push beyond standard tools, introducing new functionalities and avoiding annotation-hungry training paradigms ill-suited for clinical practice. In particular, I will focus on interpretable neural models that provide rationales underlying their predictions, and semi-supervised methods for information extraction. How do patients and doctors know that they can trust predictions from a model that they cannot understand? Transparency in machine learning models is critical in high stakes decisions, like those made every day in healthcare. My lab creates machine learning algorithms for predictive models that are interpretable to human experts. As it turns out, by using modern optimization tools, one often does not need to sacrifice accuracy to gain interpretability. We will focus mainly on the problem of building medical scoring systems using data. 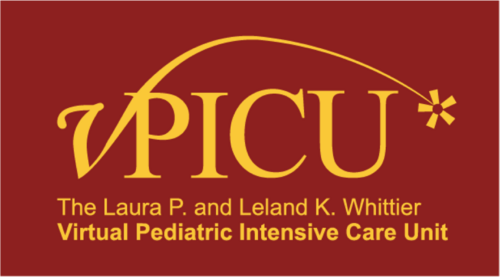 We provide applications to ADHD diagnosis, sleep apnea screening, EEG monitoring for seizure prediction in ICU patients, and early detection of cognitive impairments. Then, we switch to creating logical models, and in particular, rule lists, which are a form of decision tree. Finally we will discuss how to model recovery curves that have realistic shapes and realistic uncertainty bands, and show an application to modeling recovery curves for prostatectomy patients. I will focus on work of students Berk Ustun, Hima Lakkaraju, William Souillard-Mandar, and Fulton Wang. Other collaborators include Brandon Westover, Matt Bianchi, Randall Davis, Dana L. Penney, Tyler McCormick, and Ronald C. Kessler. Precision medicine requires an algorithmic approach to the delivery of care, and it encounters a wide range of computational challenges. This talk will center on an in-depth case study in precision medicine, highlighting computational challenges at the forefront of the field. The Neurocritical care patient is monitored for reversible secondary brain injury. Timely personalized assessments of subclinical or early state changes in the neuroICU currently rely on vigilance and constant availability of expert interpretation. Those at most risk are obtunded or comatose patients, but state changes in even conscious patients may be clinically asymptomatic or subtly evade detection. With the proliferation of multimodality neuro monitoring and advances in data acquisition and analytics, the field of neuro critical care has generated studies in signal processing and machine learning, advancing the science of detection, prediction, and goal setting. There is growing demand for the implementation of these findings. A formidable challenge in designing sequential treatments is to determine when and in which context it is best to deliver treatments. Consider treatment for individuals struggling with chronic health conditions. Operationally designing the sequential treatments involves the construction of decision rules that input current context of an individual and output a recommended treatment. That is, the treatment is adapted to the individual's context; the context may include current health status, current level of social support and current level of adherence for example. Data sets on individuals with records of time-varying context and treatment delivery can be used to inform the construction of the decision rules. There is much interest in personalizing the decision rules, particularly in real time as the individual experiences sequences of treatment. Here we discuss our work in designing online "bandit" learning algorithms for use in personalizing mobile health interventions. The accurate assessment of a patient’s risk of adverse events remains a mainstay of clinical care for patients with cardiovascular disease. Sophisticated methods, such as those based on machine learning, form an attractive platform to build improved risk metrics because they can easily incorporate disparate pieces of data, yielding classifiers with improved performance. Using data from more than 5200 patients admitted with a non-ST segment elevation acute coronary syndrome we constructed an artificial neural network that identifies patients at high risk of cardiovascular death 1-year after the index event. We further demonstrate how q-learning can be used to find optimal treatment strategies for patients at high risk of death after an acute coronary syndrome.